Flying can sometimes be nerve wracking however I have to say that I never tire of the view. 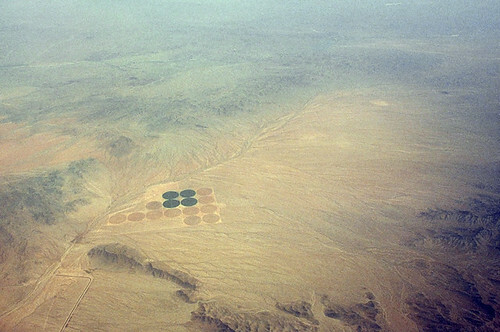 This was taken in route to San Francisco; my knowledge of what is below stops there. It's probably pretty standard fare... "hey a photo out the window", but I can't help but be in awe of how foreign and mysterious land looks from miles up. If you want to see it larger click here.